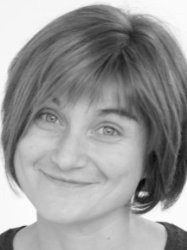 In our most recent iteration of the ‘3 Questions For’ interview format, we speak with Prof. Barbara Di Ventura at the BIOSS Centre for Biological Signalling Studies at the University of Freiburg, Germany. Her group is pushing the boundaries of optogenetics and uses light-regulated methods to study cell division and chromosome segregation in bacteria. Herein, and in general, the Di Ventura lab has a strong focus on protein dynamics. I would say 2002 is the year that marks my entry into the field of synthetic biology. After I graduated in Computer Engineering at the University of Rome “La Sapienza” I moved to Heidelberg to start my PhD at the EMBL in the group of Luis Serrano. At the beginning, the idea was for me to do only mathematical modeling of biological processes. After some months, however, Luis told me I should rather learn to do experiments on my own not to have to wait for others to give me data to model. That’s when I came into the field of synthetic biology, as the project I selected dealt with the transplantation of the p53-Mdm2 module into yeast to study its properties as an oscillator. I think that for someone like me who trained as an engineer, synthetic biology is the most natural way of entering into molecular biology. Eventually we are engineering cells instead of cars or buildings! And we do use computers a lot. To those working in the field of synthetic biology I would say: take the chance to make the world a better place! To those not working in the field of synthetic biology I would say: what are you waiting for? Join synbio!! In which areas do you see the main challenges and opportunities for synthetic biology? The first area that comes into my mind is medicine. There is so much that synthetic biology can do here. The most intriguing to me is the transformation of the concept of treatment from “taking a drug” into “having a synthetic circuit monitor your state of health and react in case anything goes wrong”. Of course, the challenges are many since we need to break down the natural – and understandable – barrier of fear and skepticism that surrounds the idea of introducing something man-made (yet living!!) into our bodies. Moreover, we surely need to go down a long way to make sure that this method is safe and effective. Beyond medicine, synthetic biology can bring a revolution in so many other fields – energy, food production, environment, just to name a few. In our newest edition of the '3 Questions for' interview format, we spoke to Dr. Francesca Ceroni, located at the Department of Chemical Engineering of Imperial College London. As a Junior Research Fellow, she is making use of bacterial and mammalian synthetic biology to make a difference in bioproduction and biomedicine. Additionally, Dr. Ceroni is also active in the iGEM competition, both as a judge as well as a supervisor. that was looking for an advisor for the Bologna iGEM team. Synthetic Biology sounded so interesting to me that I decided to give it a try; I was also happy to work with other students in an interdisciplinary environment. That was it: Synthetic Biology just captured my interest and passion from that moment on and I continued in the field for my PhD, post doc and ... the present. I would suggest to try to work with people you like, that show vision... choose very well the environment, the people, the once you want to deal with. That will make a difference in your career. I think there are many challenges, but the one I consider the most difficult to tackle is the complexity of biological systems that impacts on the reliable engineering we want to achieve. We have gone a long way into the understanding and characterisation of the systems we work with, but there is a lot to do and so much diversity to take into account as well. This time the "3 Questions For" series features Prof. Sven Panke from ETH Zürich in Switzerland. Prof. Sven Panke currently holds a position as Professor at the Department of Biosystems Science and Engineering. His research focuses on the design of novel bioprocesses for the pharmaceutical and chemical industry. I moved into Synthetic Biology in the early 2000s, when the topic was about to emerge in Europe. The engineering vision behind it displayed a very big attraction to me, even if it was clear from the very beginning that a simple transfer of engineering principles from classical engineering disciplines to biology would not work. However, the engineering narrative and the DNA synthesis methods seemed to promise a major improvement about earlier biological engineering methods. Another important factor was iGEM – a totally novel way of communicating a field to students and making them enthusiastic about it. Since then, I stayed in Synthetic Biology because I think that it remains the most promising route to better strains in industrial biotechnology and in many neighboring fields, generating visionary projects that can capture the imagination of scientists from many different backgrounds. Consider ignoring the advice of senior colleagues. What do you think is presently the major limiting factor for progress in the field of synthetic biology? I am not sure that I can name one factor that is more important than others. think that one major limiting factor is the time it takes to integrate of all the qualitative knowledge that we have accumulated over the years in computationally supported design platforms. We are making considerable advances there, but the process will, I fear, take another 10 years. I also think that we are becoming very good at certain aspects of synthetic biology, e.g. pathway optimization, but in the end this is only a certain aspect of the overall path from idea to real world impact – I think many projects still fail at an entirely different level, such as “this enzyme does not work in my chassis strain”, for whatever reason. And we should not forget that even if you have a good strain, you are still far away from having a good process. Finally, at some point we will return to the discussions that we had already once before, whether genetic engineering/synthetic biology is safe enough to be used outside contained facilities. The outcome of this discussion will have, I think, a strong impact on the future of synthetic biology outside of medicine. For the second part of our series, we had "3 Questions For" our academic sponsor Professor Roman Jerala who is head of the Laboratory of Biotechnology at the National Institute of Chemistry in Ljubljana and multiple winner of the Grand prize at iGEM competitions leading Slovenian teams. More information about Prof Jerala's research can be found on his lab website. When and why did you enter synthetic biology ? I only became aware of synthetic biology through the iGEM student competition, which is when we made our first steps in this direction in 2006. iGEM projects also led to our diversification into different field of synthetic biology while all the time maintaining an eye on health applications. Currently, we are trying to combine our interests in immunology with synthetic biology, which I think can be quite a powerful combination. The main attraction of synthetic biology for me is the opportunity to apply larger degree of creativity than just by exploring natural phenomena. Synthetic biology is also a very powerful investigational tool to explore different “what if” scenarios or to understand natural processes in the Feynmanian sense. What do you see as the most important directions of synthetic biology ? I am confident that the next technological revolution will have strong biological character as soon as the ability of rational bioengineering advances to the level we use in engineering and electronic circuit design. In the last half century, molecular biotechnology managed to harvest some of the potentials of cell factories, particularly for the production of increased amounts of natural or modified natural compounds. A major effort in synthetic biology is currently applied to microbial cell metabolism which supports the boom of metabolic engineering that is already being applied in the industry. Future efforts should in my opinion be directed towards exploring the potentials and pushing boundaries of the field rather than giving emphasis on the immediate application or compiling registries of existing natural parts. Those are clearly useful but will provide only incremental steps forward. Strong collaboration and interconnection between most creative scientific groups in the field is essential for the scientific leadership and for the opening of new horizons. I expect that the next generation synthetic biology will move strongly towards introduction of principles that have not evolved in the nature. In which areas do see the main challenges and opportunities for synthetic biology ? In my opinion, synthetic biology has great potential in medicine, and some synbio solutions may reach clinical applications within the next decade. I believe that synthetic biology can enhance application of stem cells or offer an alternative to them. Rational design of biological systems may be able to avoid the seemingly unavoidable development of microbial resistance, for example by functional targeting essential microbial functions rather than specific microbial components. Targeting of cancer-associated processes may also be able to prevent the escape from the immune response. The potential of CRISPR/TALE technology is clearly game-changing for the implementation of synthetic biology in health applications. Processing information in biological systems will not be able to compete with electronic systems in terms of speed and reliability–but in terms of manufacturing cost, energy efficiency, sustainability, and complexity, biological systems offer a very attractive alternative. In next generation of synthetic biology, we should aim to design advanced information processing biological devices not simply following the electronic computer logic but building on the specific advantages of biological systems. We should aim to advance the design of information processing from the genetic regulatory circuits towards the protein and membrane potential-based designs, which should improve the time constants by several orders of magnitude or, to say it poetically, to function at the speed of thought. One of the important opportunities for synthetic biology certainly lies in harnessing biopolymers as the building blocks of new complex assembles, which can be produced by cell factories. Rationally designed bionanomaterials can have properties that have not evolved in the nature. Designed polypeptide-based modular nanostructures as demonstrated by our single chain designed polyhedron (Gradišar et al., NatChemBiol 2013) has so many potential directions of advances that it is difficult to select the main priorities. How did you become a synthetic biologist ? Looking back to your time in graduate school, what piece of advice would you give someone who has just commenced their PhD research ? Take ownership of your PhD project. No-one else is going to do your PhD for you and no-one should care more that its working or not working than you. If you're a PhD student then chances are that you are an intelligent, independently-minded adult and someone at your level in life should be capable of starting-up a small business or having a management role in a company. You have to think of your PhD project as your own business, and not the pet project of your supervisor. Nine months into my own PhD, I realised I wasn't happy going down the route I'd been given when I started, so I went and found my own collaborators and devised a related project that I thought would be much cooler. When I told my supervisor I wanted to change the topic he was delighted, because I'd taken charge and he could see I was now self-motivated to do my project making life much easier for him. Nothing is worse than the student who is 2 years into their PhD and moaning that they got given a bad project and hoping their supervisor will wave a magic wand. What do you think is presently the major limiting factor for progress in the field of synthetic biology ? It used to be DNA assembly, but with methods like Golden Gate that has become something straightforward and even automatable. The next hurdle was a lack of predictable and orthogonal parts, but many awesome papers in the last 5 years have now given us huge libraries for all the key parts, especially in E. coli. So right now the limiting factor for progress has got to be the cell itself. I could get a robot to assemble a cascade of 20 different logic gates in a plasmid within a week but transforming this into a cell and getting it to function would be tough. Why? Because a microbial cell like E.coli is an incredibly complex network of interactions all geared towards fast growth in rich food. Throwing in extra tasks for it to do that interact with all the cell machinery is like handing a Rubik's Cube to a Tour De France cyclist as they scale Alpe d'Huez - it's going to slow them down and probably not end with a happy outcome. A much better understanding of the interactions between a synthetic construct and the cell is what we need now to make the field move forward. Hopefully whole-cell simulations of microbial cells will soon become good enough to do this.